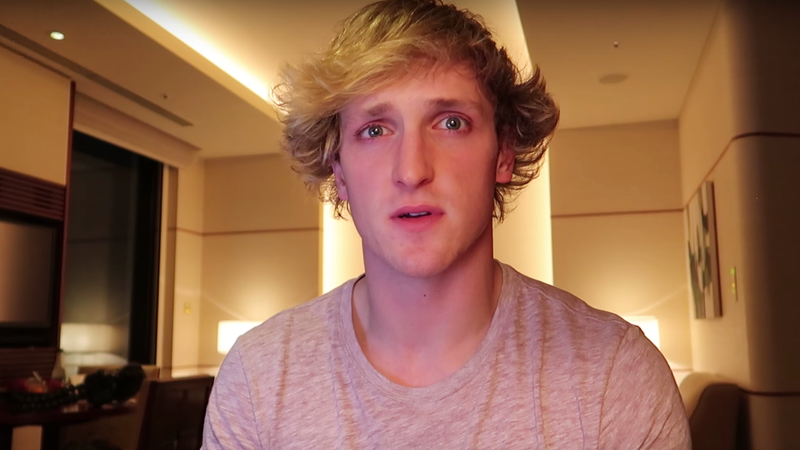 Today, Good Morning America aired an interview with Logan Paul, in which the wayward YouTuber explained again how he messed up and he’s really, really sorry for posting a video in which he gawks and laughs at an apparent dead body in Aokigahara, known as the suicide forest. He’s learned tough lessons and maybe it was all supposed to happen this way because now he can use his fame to help others. The infamous video, which was viewed 6.3 million times in 24 hours, was made during Paul’s trip to Japan. He removed the video after an enormous backlash, but the other culturally offensive videos he made in the country are still up. In the month since, Paul has apologized about the suicide video on Twitter, apologized in a YouTube video, and released a public service video about what to do if you’re suicidal and how to help people who are struggling with suicidal thoughts. The video includes useful information from suicide prevention advocates like John Draper, director of the National Suicide Prevention Lifeline. With more than 24 million views, it might be one of the most watched videos on the topic of suicide prevention. But it puts Paul front and center, a window into his journey from manboy vlogger to humbled, enlightened empath. His hair is tamed and he’s left the Toy Story alien hat at home. Instead of holding a camera in front of his face or gesticulating wildly, his fingers are clasped together as he listens astutely. Today marked the next step in his brand salvation tour—the coveted GMA interview. YouTube’s actions surely put a temporary dent in Paul’s income. But now he’s more famous than ever. He was already one of the most popular celebrities to children under the age of 13. Now he’s a household name—GMA status. And he’s going to be just fine. He built a meager bit of Vine fame into a YouTube empire. His brother, Jake Paul, runs Team 10, essentially a label for some of the most influential YouTubers, including Logan Paul, that helps the stars remain famous on a medium that isn’t built for permanence. But Logan Paul doesn’t even need the help at this point. Now it’s not just kids who are waiting to see whatever he does next—it’s parents and people who no longer want to be parents because of idiots like Logan Paul. Paul, of course, isn’t the victim here. The victims are the family of the person in Aokigahara forest who has now turned into a grotesque meme and a catalyst for a vlogger’s polished and produced path to enlightenment. The victims are anyone who might have considered suicide after watching Paul’s video. And the victims are small YouTube creators. After the Paul backlash, Google made major changes to video monetization that make it harder for small channels to make money. Under the new strategy, which will go into effect February 20th, channels that have less than 1,000 subscribers and 4,000 hours of viewed videos over the last year won’t receive ad revenue, making it easier for YouTube to vet more popular videos and determine which are safe for ads. YouTube had been facing strong criticism for months over its hosting and monetization of supremacist videos and creepy kid content, but the timing of the new monetization rules made it seem as if Paul’s suicide forest video was the final straw, as if YouTube wanted to let its advertisers know that they don’t need to worry about their ads running on videos of corpses and opportunistic jackasses.